We’re thrilled to welcome Jason Warnick as our Chief Financial Officer and member of the leadership team. In his role, Jason will oversee finance, accounting, treasury, and related functions, and his experience building a customer-centric company will be critical as we scale and expand to new financial verticals. He’s joining us next week, reporting to Co-Founder and Co-CEO Vlad Tenev. Jason is joining us from Amazon where he spent nearly 20 years, most recently as VP of Finance and Chief of Staff to their CFO. At Amazon, he oversaw the Benchmarking, Internal Audit, Investor Relations, Risk Management, and Compliance teams. Market news can provide critical insights into companies you’ve invested in, keep you up to date on the markets, and help you make better informed investment decisions. Today, we’re excited to share how we’re making news more relevant, comprehensive, and timely. Using machine learning, we more accurately identify which companies and stock symbols are discussed in an article. This allows us to aggregate news that’s better customized to your watchlist and most relevant to your portfolio. We provide coverage from known and trusted news sources like Business Insider, CNBC, MarketWatch, and Yahoo Finance, and exclude articles that are likely to be machine generated. We now have coverage for over 92% of stocks and cryptocurrencies held on Robinhood, so you never miss out on articles covering the companies you’re watching. News articles will appear on Robinhood quickly after they’re published, so you’ll get the latest coverage on the stocks and cryptocurrencies you’re watching. You can find news right below your portfolio, when you tap on a specific stock or cryptocurrency, and in your “Recent News” feed when you tap on the search icon. To learn more about the technology that powers news, check out our data team’s blog post. This past year, we brought several new products to Robinhood, including options, cryptocurrencies, and discovery tools. 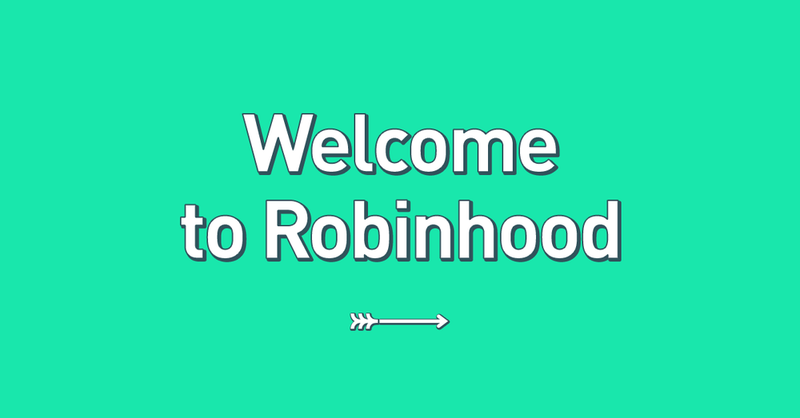 As we launch more products, we want to make it even easier to navigate the Robinhood app. Over the next few months, we’re rolling out a tab bar at the bottom of your app with shortcuts to essential features. From the tab bar, you can easily check on your portfolio and watchlist, access the search page, or view information like your statements or transaction history. We’ll be testing several versions of this experience, and introducing more people to the new design over the next few months. There’s no way to sign up for the update, but check your app to find out if you’re one of the first people to see the tab bar! Earlier this week, we were proud to announce Clearing by Robinhood, our new clearing system. We shared a lot about how Clearing by Robinhood will improve our ability to launch more products and provide you with an even better experience. Now I want to share a few details about how our trading system works. I want to use this opportunity to shed light on how Robinhood executes your orders: no jargon, only the facts. Better execution quality. Better prices. When you buy or sell stocks on Robinhood, like many other brokerages, we send your order to market makers like Two Sigma, Citadel, and Virtu, instead of exchanges like NYSE. Market makers don’t front-run your orders — they’re actually required by Regulation NMS to execute your order at the best price among all of the exchanges, and unlike exchanges, they don’t charge fees. To compete with exchanges, market makers offer rebates to brokerages. This isn’t unique to Robinhood. E*TRADE, Schwab, and TD Ameritrade, among others, all get rebates from market makers in addition to the commission they charge you per trade. To ensure we have a fair system, we don’t take rebates into consideration when we choose which market maker will execute your orders. Also, all market makers with whom we work have the same rebate rate. We send your orders to the market maker that’s most likely to give you the best execution quality. For even finer control, we offer limit orders and stop limits, which allow you to name your own price. We’ll always be committed to offering commission-free trading for everyone. The revenue we receive from these rebates helps us cover the costs of operating our business and allows us to offer commission-free trading. Robinhood earns ~$0.00026 in rebates per dollar traded. That means if you buy a stock for $100.00, Robinhood earns 2.6 cents from the market maker. Other brokerages earn rebates and charge you a per-trade commission fee. We’ve grown to over six million customers in under four years by offering our services at a dramatically lower cost and better experience than others. We started with commission-free stock trading in 2015. We heard that you wanted more from us, so we added commission-free options and crypto trading earlier this year. Over the next several years, you should expect more of the same — our goal is to build the world’s most customer-centric financial company. For you, this means even more products with a spectacular customer experience and the lowest possible prices. Check out our new Help Center section with even more information. We’ve received daily requests to add candlestick charts to Robinhood, and over the next few weeks, we’ll be bringing them to the stock, options, and cryptocurrency pages on mobile. Candlestick charts help investors better understand how prices move. While a line chart shows you only the close price, each candlestick shows you four pieces of information: the open, high, low, and close price during a certain time period. To view candlestick charts, tap the candlestick icon on the bottom right corner of any stock, options, or cryptocurrency chart. Learn more here. Analyst Ratings: Read commentary and view the buy, hold, and sell ratings from Wall Street analysts. People Also Bought: Discover other stocks investors bought on Robinhood, including competitors, suppliers, and more. About: Find quick facts about stocks, such as the company’s CEO, its founding date, and where it’s headquartered. Now you can see top movers, popular Collections, and recent news when you tap the search icon in the upper right corner of the app. We’re bringing all options features available on mobile to web. Now you can open, close, and monitor your options positions, as well as sign up to trade options, on web. In case you missed it, we’re also adding over 250 global stocks to Robinhood, and recently launched free extended market hours for everyone. We hope you enjoy these updates – look out for more features in the coming months!